It appears that the tweets have been deleted in response to a Digital Millennium Copyright Act (DMCA) takedown notice filed by the TV network Starz, according to email notifications sent to journalist Mathew Ingram and reviewed by Gizmodo. 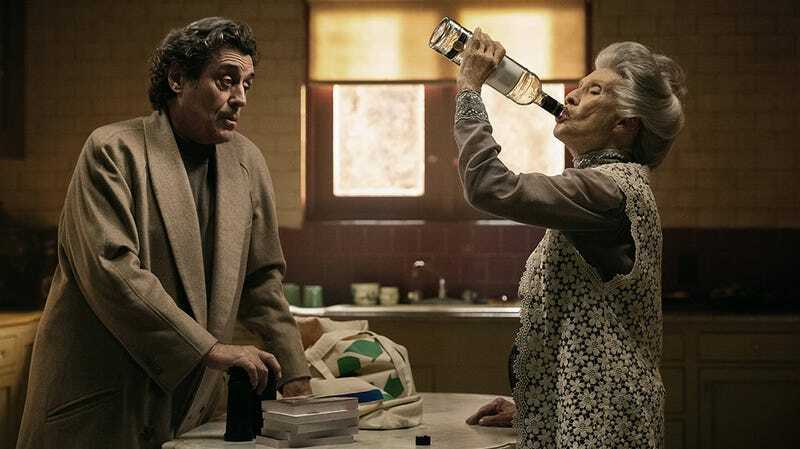 Starz airs American Gods but doesn’t own all of the shows that have leaked online. Notably, the original TorrentFreak news story didn’t link out to pirate sites that are hosting the shows. But that hasn’t stopped Twitter from deleting multiple tweets from people who linked to the TorrentFreak story. Even a tweet from the Electronic Frontier Foundation (EFF) was deleted. A spokesperson for EFF confirmed to Gizmodo that one of its tweets was taken down due to a copyright claim from Starz. Update, 11:05am: Updated with comment from EFF. The techniques and technologies employed in these efforts are not always perfect, and as such it appears that in this case, some posts were inadvertently caught up in the sweep that may fall outside the DMCA guidelines. That was never our intention and we apologize to those who were incorrectly targeted. We are in the process of reviewing all of the impacted posts as well as the scope and procedure for the previous takedowns and are working with our vendors to reinstate any such content that was inappropriately targeted for removal. The tweets in question are still unavailable and it’s not clear when they’ll be reinstated. Notably, Twitter still hasn’t answered Gizmodo’s questions that were sent mid-day on Sunday.